Hi! 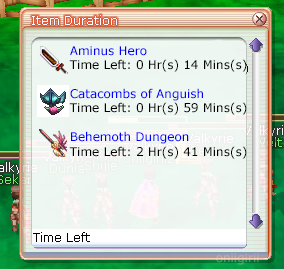 I would like to suggest having a dungeon timer so we can know when will be the next run instead of trying to pay the tp price(albeit cheap) and check on how many minutes remaining. Here's something I've come up on what it could look like similar to the premium item timer. very good idea, i like that a lot. will tell it to our developer and hope he can add that soon!